At Aspen Appraisal Group (AAG), it’s been our experience that estate appraisals and property valuation services are commonly ordered between two to six months after the death of a loved one or inheritance of a property. Occasionally, an appraisal is ordered almost immediately, and other times it may take as long as a year or more, depending on the circumstances. 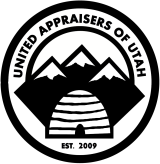 It is vital to select someone with a vast knowledge of Utah real estate to perform the appraisal. Retrospective appraisals are fairly common in estate settlement situations. These property valuation services involve appraising a home based on a ‘prior date,’ which is typically the owner’s date of death. This is why estate appraisals are often referred to as ‘date of death’ appraisals. In addition to needing a retrospective or date of death appraisal during the settlement process, often the ordering party will also request a ‘current value’ appraisal in order to determine current market value of the estate for purposes of sale or settlement between heirs. Every estate situation is different and the type of property valuation services required depend on the particular needs of the estate. With the help of an attorney or accountant, we at Aspen Appraisal Group can help determine the type of value needed for an estate. Our team of certified appraisers at AAG understands the complexities involved in assessing the value of a property under the difficult circumstances surrounding settling an estate and we strive to provide the best possible experience. We also have a comprehensive understanding the Utah real estate market. Our Chief Appraiser, Matt Frentheway, has over 15 years experience in the role of financial advisor and/or appraiser. In fact, a large number of attorneys, accountants, and financial planners have come to rely on Matt Frentheway and Aspen Appraisal Group for our opinion of values and property valuation services when formulating Utah real estate property values during estate settlement proceedings.